Corporate donations from companies who share our commitment to the humane treatment of animals play an important role in PETBUCKs. Through corporate donations we aim to cover our fundraising and administrative costs, in an effort to donate 100% of every dollar raised through individual sponsors and one time donors to the member organization caring for the adoptable pet. 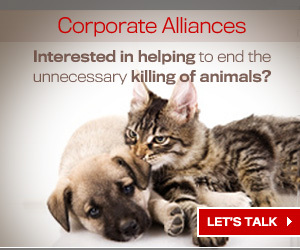 In return corporate donors receive advertising on PETBUCKs' webpage as well as traffic to their business driven through the iconic PETBUCKs pet tag gift. 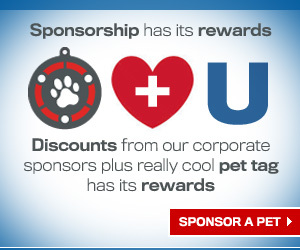 Individual sponsors will receive iconic PETBUCKs pet tags. 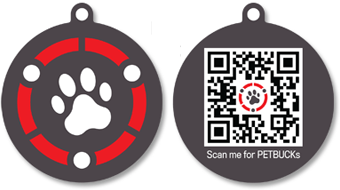 Our pet tags have a QR code on it that can be scanned to reveal coupons provided by our corporate donors.